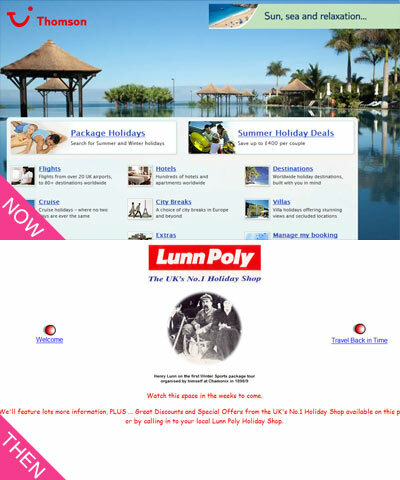 Sadly, the Thomson site has always been pretty professional (ie boring), so we’ll look at lunn-poly.co.uk which now redirects to the Thomson site. There’s one really one thing I want to criticise on this web site. I think any designer should be able to tell you what it is straight away. No, it’s not making the focus of the site more about Henry Lunn than about holidays. I like that about it since I can’t afford a holiday and I have nothing much to do other than to sit around experimenting with my facial hair and Henry’s moustache is quite an inspiration. Yes, that’s right. They are using Comic Sans. Agreed by most designers to be one of the worst fonts in the world. This entry was posted on March 29, 2010 at 8:44 pm	and is filed under Lunn Poly, Thomson. You can follow any responses to this entry through the RSS 2.0 feed. You can leave a response, or trackback from your own site.